Welcome to my review of the Motorola X Style smartphone. I recently reviewed the Moto X Play ( https://gavinsgadgets.com/2015/10/01/motorola-moto-x-play-review/ ) and really loved this phone. With its 1080p and whopping sized battery it provided up to 2 days usage. It had a loud mono front loudspeaker. The fit and finish was a bit plastic feeling but then this was reflected in its price. So how does the Moto X Style improve over the X Play. Firstly, a 5.7 inch QHD screen which screams quality. Brilliant viewing angles and excellent visibility in all lighting. Next it has a metal frame, not plastic and feels so much more premium than the Moto X Play. And finally there is the stereo front speakers. On paper both phones have the same rear camera, but the X Style has a more powerful processor and can therefore take better photos. It also has a front flash for the front 5mp f/2.0 camera, ideal for selfies. The sim tray houses both the nano sim and micro SD card. I used my 128gb sandisk micro sd card with no issues. Call quality and reception was excellent. WiFi, Bluetooth and NFC all worked really well. WiFi included Mimo Dual band. Clove Technology provided the Moto X Style, and are selling it for a fair amount less than Motorola themselves. Details here https://www.clove.co.uk/motorola-moto-x-style . 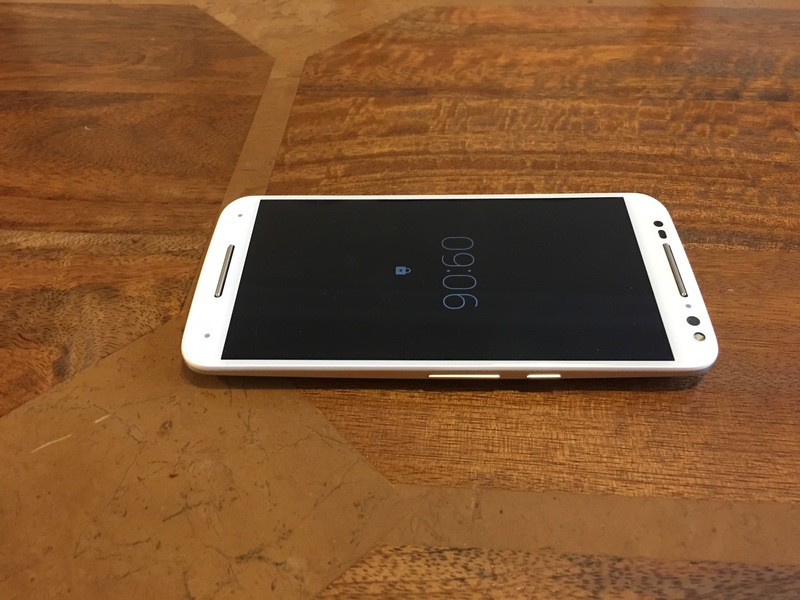 The Moto X Style comes with android 5.1.1 but android 6.0 marshmallow is due shortly. It is near stock android, with just a few Moto apps. Moto Assist – understands whether you’re in the car, at work, or at home, and adapts in ways that help you. Like letting only priority calls through while you’re asleep or automatically replying to important messages when you’re in a meeting. Notifications – You can wave you hand over the phone to see the time and any notifications. You can use your voice to ask and control the X Style. If you want to see more info on any notification you can slide up. The Moto functions are handled by a Natural Language and Contextual Computing Processor that enables all this functionality without impacting battery. Battery life is one day only, and if used heavily the QHD screen will mean a quick charge at some point during the day. This is compensated with quick charge 2 or turbo charging as Motorola call it. This is very fast and adds up to 10 hours of battery life in 15 minutes. The Turbo charger is included in the box. 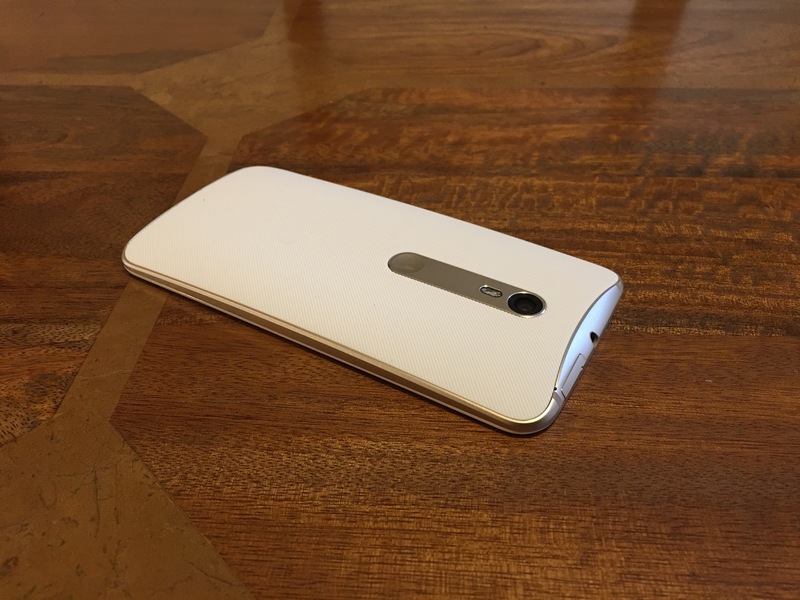 The Moto X Style has one more feature up its sleeve. It you head over to Motorola you can customise the look, colours and materials used for your phone. But you will pay a premium for this and in my opinion the extra cost is not worth it. The Moto X Style has a rear 21mp f/2.0 and front 5mp f/2.0 both with flash. That’s right, a front flash is included. The X Style has an excellent camera. Really impressive. Low light becomes difficult but it compensates for being super fast. It also received an update to the Moto camera app allowing barcode scanning. I had a surprise with the camera. I shot a moving cyclist. I went to check the photo in the Gallery and the X Style told me it had taken a better shot. I saved both my shot and the one the camera took. My shot is with the cyclist in the middle of the frame. The camera caught the cyclist as it entered the shot. Rather neat! Below are a selection of photos from the X Style. All rather good photos. A good shot by the X Style with the sun although there is some glare. The shot below is the one the camera took all by itself! And finally a low light shot. I mentioned earlier it had front stereo speakers. These go very loud, nearly HTC One M9 levels. Heck its worth buying the X Style just for the stereo speakers alone! USB Audio is supported. Good headphone output and quality too. This Motorola Moto X Style is a cracking piece of kit. Clove Technology are selling the Moto X Style for £350, which makes this an easy recommendation. Superb screen, camera and pumping stereo front speakers. Hi Gavin….how does the X camera compare to the 6 Plus in everyday type situations? Like moving kids or objects, inside pics, some what low light , quick landscape shots? Which would u feel more secure in using as your only camera in these scenarios? Yes I would feel OK with this phone. Quick shots and indoor shots are fine. Just need to keep phone stiller as no OIS. Iphone is better but costs a lot more. Have you had chance to listen via the Mojo yet? Oh yes. Review coming v soon. But I’m selling my Oppo HA-2 because the Mojo is so good.